The biggest single event in sports, the World Cup, has dominated the sports landscape over the past month, bringing action from South Africa to fans in all four corners of the globe. With the Netherlands and Spain set to square off in the final this Sunday, July 11th fans are stoked for what will undoubtedly be a thrilling cap to a fantastic tournament. With a membership that is made up of players from countries around the world, it comes as no surprise that many of the members of the NHLPA have taken time in their summer workout schedules to enjoy the action of the beautiful game. 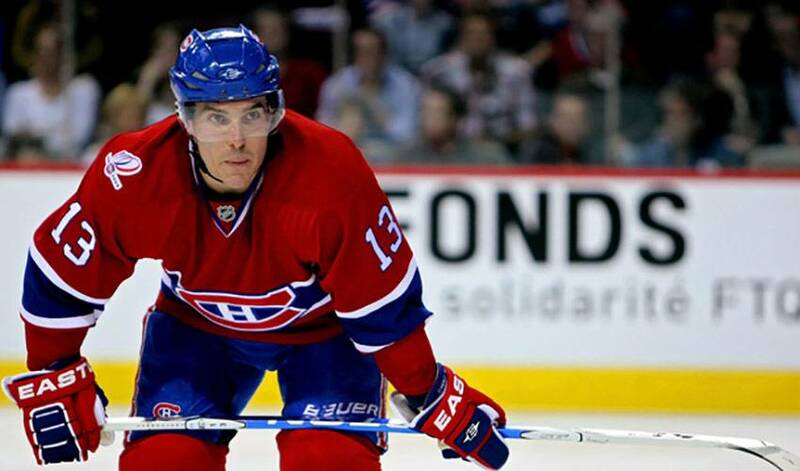 Michael Cammalleri, a left-winger for the Montreal Canadiens, has Italian heritage on his father's side and grew up cheering for Juventus and Inter Milan, two teams in the Italian Serie A. Inter Milan is the club team that is supported by the town where Cammalleri's descendants originated from. In 2006, Michael joined thousands of Italian supporters in the streets of Toronto's Little Italy to celebrate the Azzurri's World Cup victory. Unfortunately for Cammalleri and Italy's many supporters, 2010 would hold a much crueler fate than the one they found in Germany four years ago. Marco Sturm, who had to choose between focusing on either soccer or hockey at age 14, grew up loving the game in Germany, something that has extended to present-day. A huge Bayern Munich fan who follows the team closely when he is in North America for the hockey season, the Boston Bruins centre is back home near Munich for the summer and has been following the World Cup very closely. He compares the instantly-recognized popularity of the players of Germany's national team to Tom Brady of New England Patriots back in Boston and says the tournament has touched the entire country. “The feeling around Germany has been incredible; everyone was focused on soccer, everyone was talking about soccer. It didn't matter where you went,” Sturm said, continuing by saying it was probably most similar to the passion Canadians have about their national hockey team when it is in competition. NHLPA.com spoke with Sturm the day after Germany was eliminated by Spain, and he was gracious in defeat, claiming the Spaniards were simply the better team and controlled the play of the game throughout. He is also hardly disappointed in his country's performance. “They did better than I expected,” Sturm said. “They had a really young team and I didn't think they would make it that far. But they really came together as the tournament went along and it was great to watch. This team has a really bright future.” With many of its best players close to or under the age of 25, Sturm should have plenty of reasons to cheer in 2014 as the Germans are already positioned as one of the early favorites for the next World Cup in Brazil. James van Riemsdyk has been another active viewer of the tournament, following along with the runs of both the American team and the finalist Netherlands. He and his brothers were introduced to the game by their father's love of it, with van Riemsdyk playing forward and as a goalkeeper through his time in New Jersey middle school. The 21-year old still closely follows the U.S and Dutch national teams, as well as the English Premiership and Champions League. Having stunned just about everyone with a major upset over tournament favorites Brazil in the quarterfinals, the Dutch have advanced into the final game with a win over Uruguay and are one win away from the 14-pound golden trophy. With both Cammalleri and Sturm picking Spain to come out victorious on Sunday, van Riemsdyk steadfastly remained behind his team.